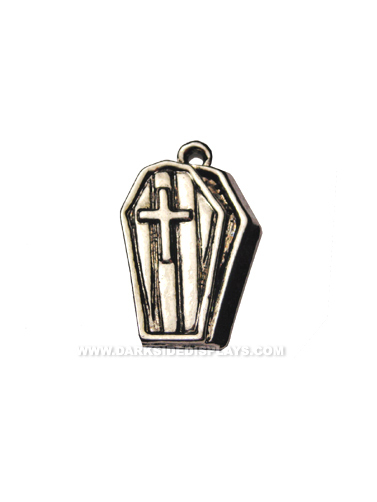 Coffin Pendant Pewter Charm measures 20mm x 10mm. Design on both sides. Crafted in lead free pewter with an antique finish. Made in the USA.